How much does it cost for thermal imaging? The costs of a thermal imaging inspection can vary greatly based on several things: the time required to perform the inspection, the level of reporting needed (this affects the process and analyze time required), and possibly the structure being inspected. 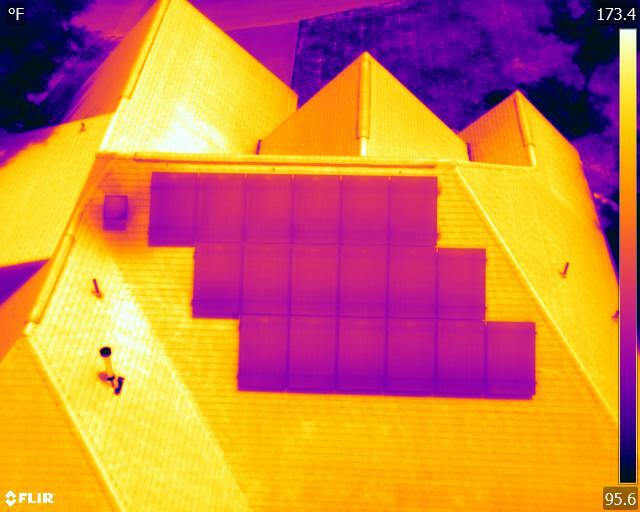 For example, the cost to have a large warehouse roof thermally inspected could range from $.02 – $.05 per sq foot, while a thermal home energy inspection may cost around $550 for a 2,000 sq. ft. home. This variation is in part due to the difference in the level of difficulty and the time required for the inspections. What does a thermal camera measure? Thermal cameras are able to measure the thermal energy being emitted by a surface without contact. The thermal energy is converted to electronic signals to be presented to the viewer. Because of the precision of the measurements, thermal cameras can compute the temperatures of objects or areas of objects quite precisely. The infrared spectrum measured by the camera is not visible to the human eye. What is thermal imaging and what is it used for? What does a thermal camera show? Basically, a thermal image shows temperature difference of surfaces. It shows the viewer an electronic representation of the “map” of thermal radiation being emitted. What does thermal imaging do for a home inspection? In a home inspection, thermal imaging allows inspectors to “see beyond the visible.” They can easily detect not immediately visible problems such as moisture behind or inside a wall, lack of insulation, bad breakers in the electrical panel or bad outlets and switches. Using thermal scanning, inspectors can even detect if the argon gas has leaked out of a double insulated glass windows. These amazing capabilities mean that a thermal inspection can identify more anomalies – all without touching anything. What can you do with a thermal imaging camera? The applications for a thermal image are really endless. There is so much useful information in a thermal image, that it can be applied to many aspects of life. As is the case for many groundbreaking technologies, thermal imaging was developed for the military. The technology has, however, become very useful in many commercial arenas including inspections, medical, and more. A germanium lens acquires(measures) the temperature differences of surfaces and records them on a sensor very similar to how a regular camera would. Yes, if you know how to read the information and then what to do with it. It’s only as good as the operator or technician doing the scan. It is very important to have a certified Thermographer who has been trained to read the information collected. Thermography is the science of the infrared spectrum. Acquiring IR information, processing that information and then delivering accurate assessment of that information. What is meant by infrared thermography? Infrared radiation is electromagnetic radiation of a wavelength longer than visible light, but shorter than microwave radiation. The name comes from Latin infra (below), red being the longest visible wavelength. Thermography is the process of acquisition of thermal information from non-contact thermal imaging devices. What is an infrared image? Simply put, an infrared image is called a Thermogram. An image captured with a Germanium lens that sees the infrared spectrum. How do you take infrared photos? Infrared images are taken with a camera, similar to a DSLR, but uses a lens with a Germanium element. FLIR has become one of the leading producers of thermal imaging technology. How much is an infrared camera? The range is great. Starting at $300.00 to $40,000.00 and up. A thermal inspection uses thermal (or infrared) imaging technology to show anomalies that are not readily seen using conventional inspection methods. For example, a regular home inspection would not be able to see moisture inside a home’s walls or ceiling. 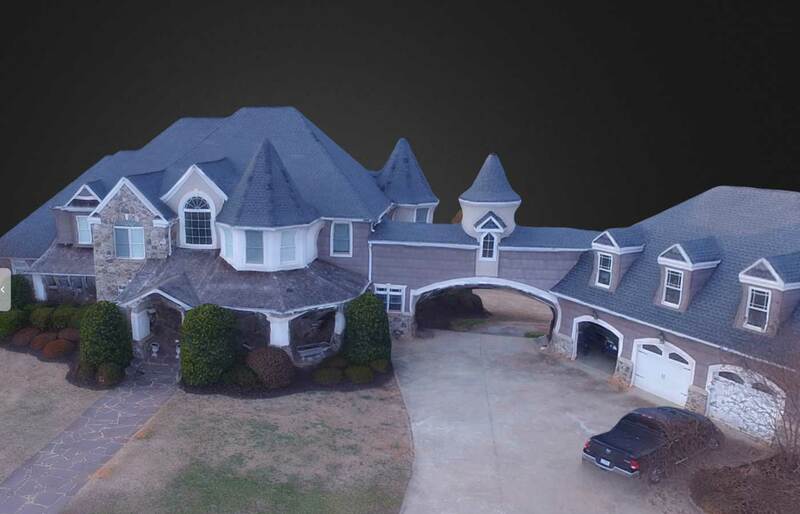 Because a thermal camera is able to identify the difference in temperature in the regular part of the ceiling and the area where the water is, a thermal inspection report would likely identify problems early. This is why thermal inspections are such a great preventative maintenance procedure.